Anna is everything her identical twin is not. Outgoing and athletic, she is the opposite of quiet introvert Jess. The same on the outside, yet so completely different inside - it's hard to believe the girls are sisters, let alone twins. But they are. And they tell each other everything. Jess is compelled to learn everything she can about the sister she thought she knew. At first it's a way to stay busy and find closure… but Jess soon discovers that her twin kept a lot of secrets. And as she digs deeper, she learns that the answers she's looking for may be truths that no one wants her to uncover. Jess and her twin, Anna, couldn't be more different, but they have always had a close bond as sisters. However, after Anna is found dead outside her window, it seems like an unfortunate accident, nothing more. However, as Jess soon comes to understand, Anna didn't share everything with her twin, and as Jess starts paying attention to what is being said about her sister, she begins to unravel the truth behind Anna's death. Told in sharp, taut prose that is excellently paced and also captures the imperfections of the characters perfectly as they deal with the grief surrounding Anna's death, The Window captured my attention fairly quickly and while there were multiple times throughout that I was fairly sure how the story was going to end, there were enough twists and turns that actually surprised me when everything finally played out. The small town feel was spot on, and the addition of Anna's POV interspersed thru Jess' story was a nice touch, so that we get to see both sides of the twins. And let's take a moment to appreciate the cover, shall we? Delcaorte's art dept did a fine job in creating an cover that perfectly captures the atmospheric feel to the story and Jess' sense of loneliness after Anna's death. 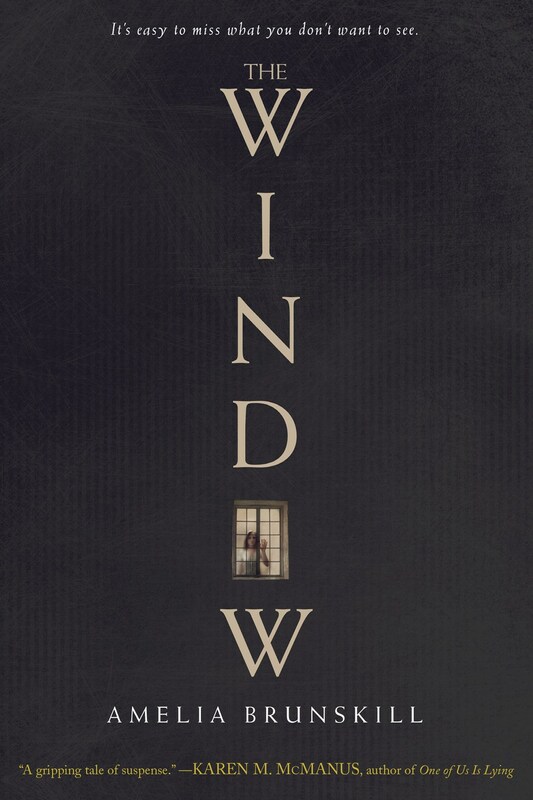 If you enjoy a great mystery, a dark YA story, or a good page-turner that can easily be read in one sitting, you should definitely check out The Window. 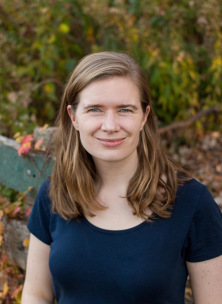 Amelia Brunskill was born in Melbourne, Australia, but she grew up mostly in Washington state where she picked a lot of blackberries, read a lot of books, and failed to properly appreciate the epic beauty of the mountains and the Pacific ocean. She earned her bachelors degrees in psychology and art from the University of Washington and her master in information studies from the University of Texas at Austin. She now lives in Chicago, where she eats as much Thai food as possible and works as a librarian. 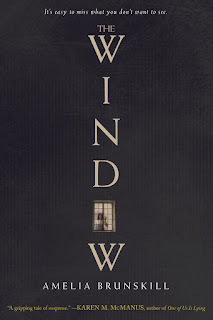 The Window is her debut novel. I received a physical ARC of this book from the publisher in exchange for a fair and honest review. An interesting take on the Amelia Earhart mystery: after the engine failed on their fateful trip, Fred Noonan and Amelia Earhart parachute away from the plane. However, Amelia finds herself falling towards a bright light and falls thru this light into an alternate universe. Not knowing where Fred is, she convinces two of the locals to help her storm the castle of the area's overlord, in hopes of saving Fred. Of course, this doesn't go entirely according to plan, and Amelia must make decisions then on how to save herself and get back home. I've always been intrigued by the Amelia Earhart mystery, so this was an easy buy for me. The character-driven storytelling and simplistic, cartoon-ish yet solid art really made this a great book. Recommended! A solid reboot of the original cartoon, but that's really all it is. A reboot, with not that much new thrown in. I'll still be interested to see where they take the series, if it's going to be nothing more than a rehash of the cartoon, or if they are actually going to strike off on their own and make it something new and fresh. Firefighters vs. Dragons - that's what this book is all about. One hundred years or so in the future, dragons are awakened after tectonic shifts all over the world and are causing catastrophic fires everywhere. Enter the smoke eaters, humans who can breathe smoke, who use advanced weaponry to kill the dragons and allow the regular firefighters to come in and deal with the fires. It's goofy as hell, but still a fun read. A gorgeously illustrated graphic novel about a owl who befriends and helps the lost ghost of a little girl. More importantly, the story is about doing what's right and helping others, especially when told that you shouldn't help. A re-read after seeing the movie, and after reading the book again, I liked the movie even less. Too many unnecessary changes made to the film, IMO. 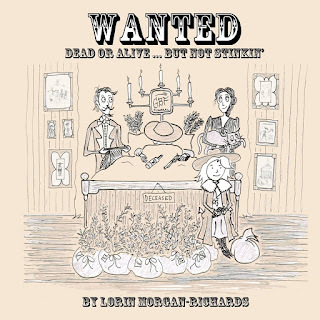 Featuring 100 all new cartoons of the Noodle Rut and the Goodbye Family by Lorin Morgan-Richards! An indictment, Docket #9876543210, is outstanding, charging the Goodbye Family with violation of this book causing spontaneous laughter and disruption of civility. The bureau of comics have ordered their articles must be apprehended and cautioned excessive cackling might lead to back door trots. Wanted: Dead or Alive… But Not Stinkin' is full of the goofy, oddball, and macabre cartoons that continue the adventures of the Goodbye Family. Much like the previous volume, Memento Mori, the single panel cartoons here are just as clever and the attention is still in the details here. If you enjoyed Memento Mori, you'll enjoy this volume just as much. This gorgeous series continues to impress me with each volume. The artwork is exquisite and the story remains a quiet yet compelling tale. This particular volume ends on quite the cliffhanger, so I'm anxious for the next release! Comic miners recently uncovered an album buried over 100 years ago after draining an outhouse in an old ghost town. While treasures are sometimes found, this one just so happened to be loaded with the 1st year of the Goodbye Family and the Noodle Rut by cartoonist Lorin Morgan-Richards. 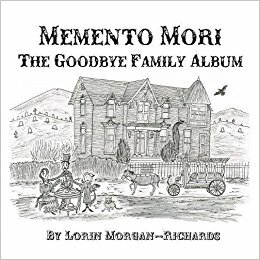 Each of the single panel cartoons collected in Memento Mori: The Goodbye Family Album, reminiscent of Charles Addams' cartoons, tells a story unto themselves. Inhabited by the Goodbye Family, a close knit clan who's macabre adventures underlie their loving of one another. 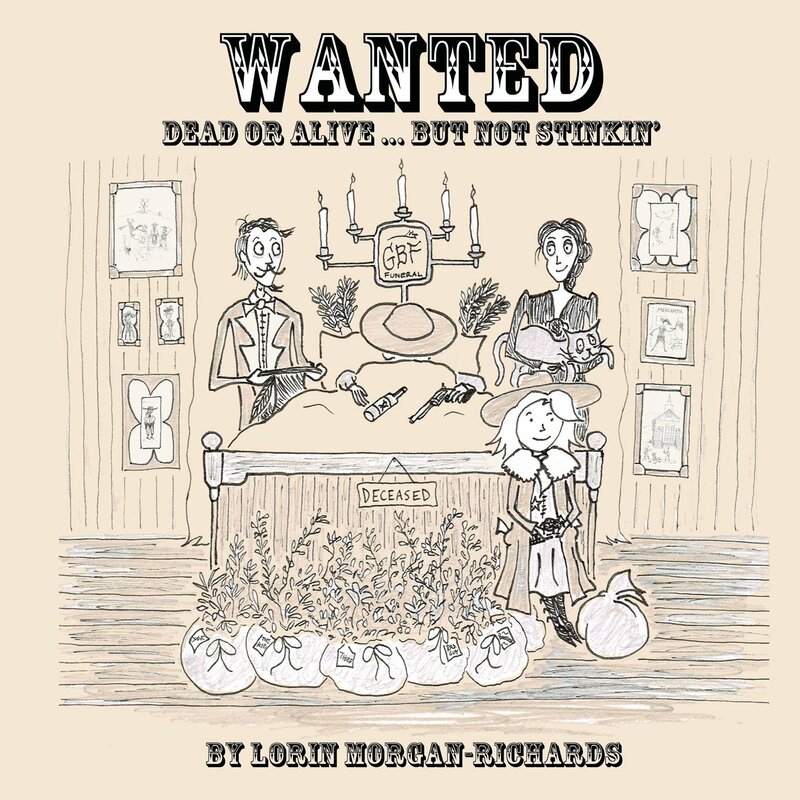 At first glance, the cartoons are in and of themselves fun reads, but pay attention to the details; this is where Lorin Morgan-Richards will hide little Easter Eggs, making the cartoons that much more clever. In addition to to being just plain fun, some of these cartoons tackle modern day problems in a rather macabre way sometimes, but they still strike at the problem and show just how ridiculous it can be. Overall, a clever and fun collection of cartoons inhabited by equally clever and fun characters. The Dreaded Summons and Other Misplaced Bills by Lorin Morgan-Richards investigates seven unfortunate accounts piled together to make you laugh. The collection opens with Tina Teatree who has a compulsion for weeding that soon digs up the root of her problem. The title story is The Dreaded Summons about an introvert and his friendship with a lost Manatee. Other stories reveal the Breakfast Hunter, J.J. Whitweather, Shirley Short, and Fig B. Willingsbee. First off, an apology to Lorin Morgan-Richards for the delay of this review. He had asked me a while ago if I would like to review his book The Dreaded Summons and Other Misplaced Bills, and being a fan of his previous work, I happily agreed. And then life happened. And I put the book aside. And I'm sorry. It's not much of an excuse, but it is what it is. Now, on to this most delightful book. 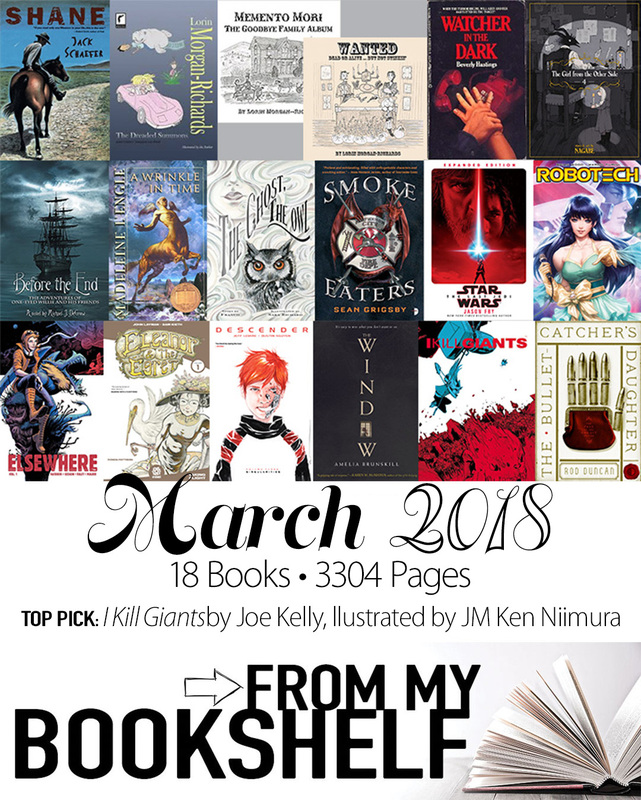 The Dreaded Summons and Other Misplaced Bills is a collection of short stories that range from the funny, to the bizarre, to the down right odd, and usually each story is a little mix of all that. In these tales, you'll find cautionary tales about addiction to electronic devices and being too vain, dealing with depression, and learning to stand up for yourself. This is one of the aspects of Lorin Morgan-Richards' writing that I really enjoy; hidden in these bizarre and odd stories are glimmers of heart and soul, and lessons learned. 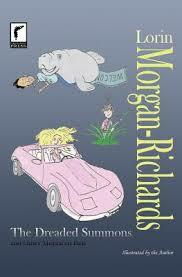 Morgan-Richards' accompanying illustrations fit the quirky feel of his stories perfectly. 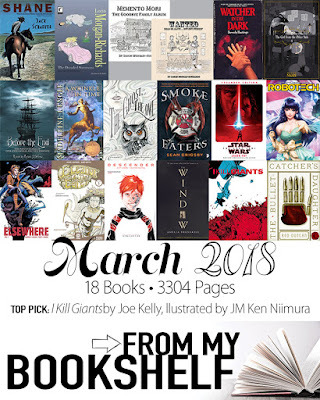 If you enjoy the weird and odd, or are a fan of Charles Addams or Tim Burton, I think this book would be perfect for you. I picked this up on the library's free shelf because the cover was SO DRAMATIC; When the terror begins, will Abby and her babysitter be the target? What I assumed was going to be a goofy early 90s YA turned out to be a not-so-bad 90s YA thriller. But still, that cover! I don't think I've ever read a Western before, and whether the glorification of Shane as the quintessential cowboy was intentional by the author as the story is told from the adult POV of the main character as he reminisces about Shane, or if it just came across this way to me, I feel that this is the Wild West as told thru rose-tinted glasses. Still, for my first foray in Westerns, I suppose it could have been worse.